I stumbled across Louella Court today via some web logs and I have to say, I’m elated to have found these girls’ site. Great letterpress work, inspirational images, and quite easily one of the most beautiful photos I’ve seen in some time. 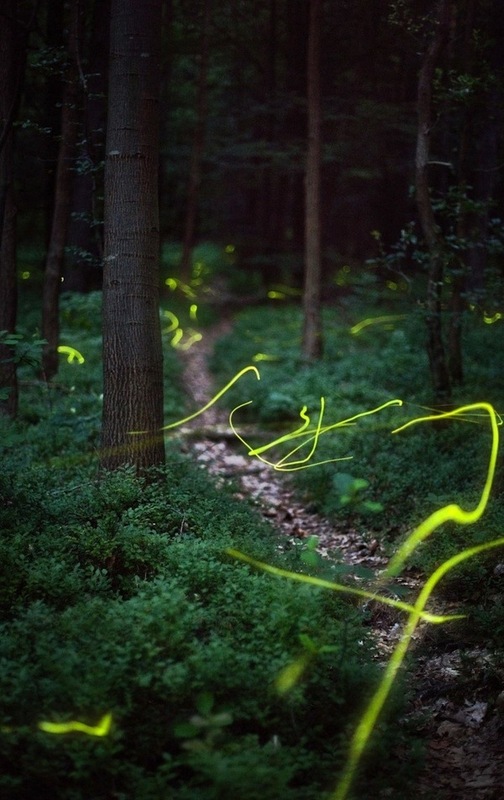 Fireflies darting in and out over a hidden forest trail. Simply stunning. Reminds me of living in Ohio for a few years growing up, running through fields with a jar, trying to spot them just as they turned their lights out. My sister and I found more mosquitos than fireflies, if I recall correctly, but this photo definitely makes me want to grab a mason jar and blast through the screen door into the dusk.